Here presents a set of printable story map graphic organizer templates for free download. 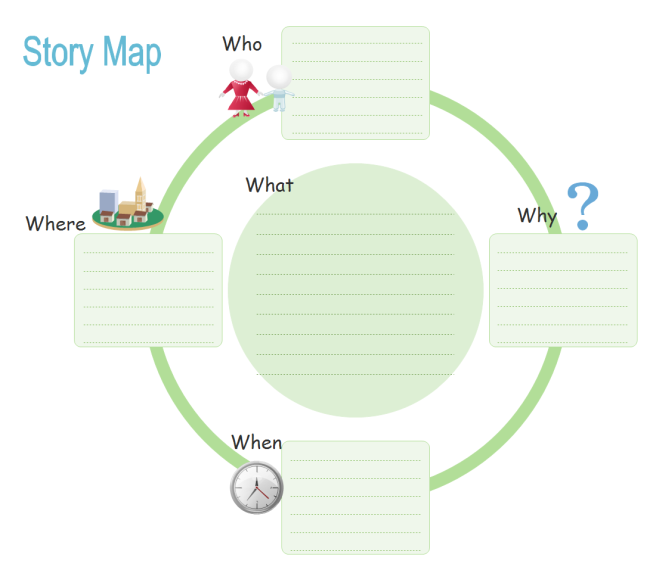 Gain quality story map graphic organizers for making worksheets or other teaching materials. 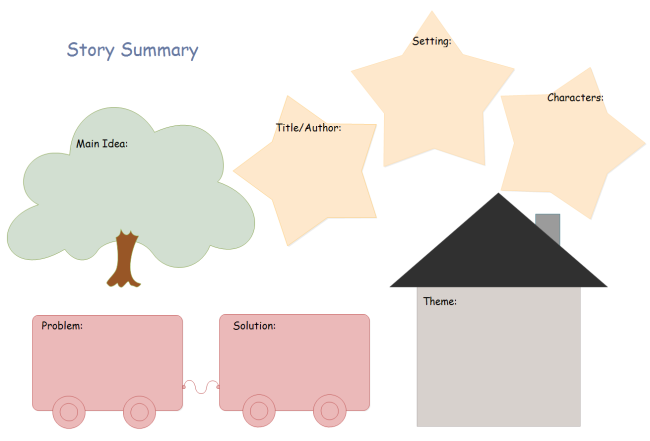 Lovely story map graphic organizers are provided in both PDF and EDDX format. As they are blank templates, you can just download the PDF file and use directly. For Edraw users, you can edit the text, color, font or shape size to better fit your needs. No matter which format you download, we ensure that they are of great quality. These story map graphic organizers are dynamically created for you so you will have an endless supply of quality material to use in the classroom. 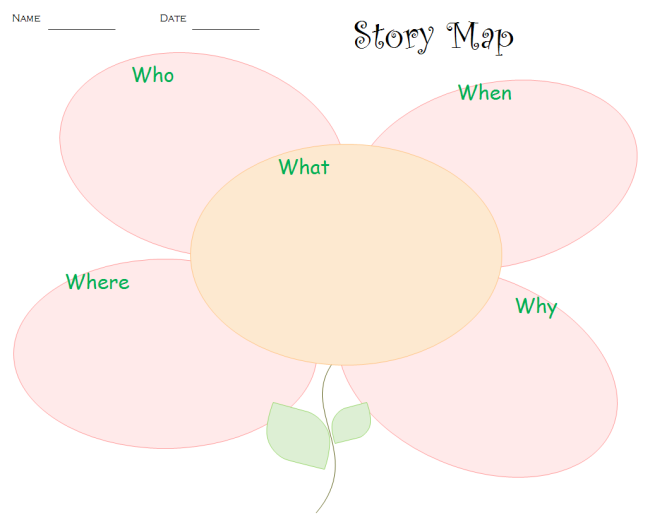 Download this cute flower story map organizer template and use in your classroom. Use this free, printable story map worksheet template to practice and improve students' reading comprehension and writing abilities. This is ready-to-use template, you can print out and ask students to write sentences in the blank areas. To make students better understand a story or passage, you can use this story summary graphic organizer and let them to fill in the blanks of the key elements, such as the characters, main idea, setting, theme, problem and solution. In this way, student will not just read the words, but really know what the author is talking about. Download Edraw for More Excellent Graphic Organizers. Try Edraw FREE.